2018 Annual Conference Final Conference Program Now Available! Post conference information to follow shortly! Plan to attend the opening general session keynote featuring Joy-Ann Reid, who is host of AM JOY on MSNBC as well as a national correspondent appearing regularly on primetime programs including Hardball with Chris Matthews and The Last Word with Lawrence O'Donnell. 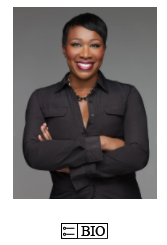 Joy-Ann Reid is also the author of the book Fracture: Barack Obama, the Clintons and the Racial Divide (William Morrow/Harper Collins 2015) and co-author with E.J. Dionne Jr., of We Are The Change We Seek: the Speeches of Barack Obama (Bloomsbury, 2017). Reid was previously the Managing Editor of theGrio.com, a daily online news and opinion platform devoted to delivering stories and perspectives that reflect and affect African-American audiences. During the 2004 presidential campaign, Reid served as the Florida deputy communications director for the 527 America Coming Together initiative, and was a press aide in the final stretch of President Barack Obama's Florida campaign in 2008. Reid graduated from Harvard University in 1991 with a concentration in film, and is a 2003 Knight Center for Specialized Journalism fellow. 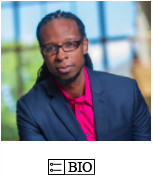 Ibram X. Kendi, Ph.D., is confirmed to speak as the conference closing keynote on Saturday, March 10, 2018. Dr. Kendi is an award-winning scholar and a New York Times best-selling author. He is Professor of History and International Relations and the Founding Director of the Antiracist Research and Policy Center at American University. His second book, Stamped from the Beginning: The Definitive History of Racist Ideas in America, won the 2016 National Book Award for Nonfiction. At 34 years old, he was the youngest ever winner of the NBA for Nonfiction. Stamped was a finalist for a National Book Critics Circle Award, and it was nominated for a Hurston/Wright Legacy Award and a NAACP Image Award. Stamped was named to several Best Books of 2016 lists, including by the Boston Globe, The Root, The Washington Post, and Buzzfeed. He was named to The Root 100 2017, and recognized as the 29th most influential African American between the ages of 25 and 45. His next book, which will be published by One World/Random House, is tentatively titled, How to Be an Antiracist: A Memoir of My Journey. 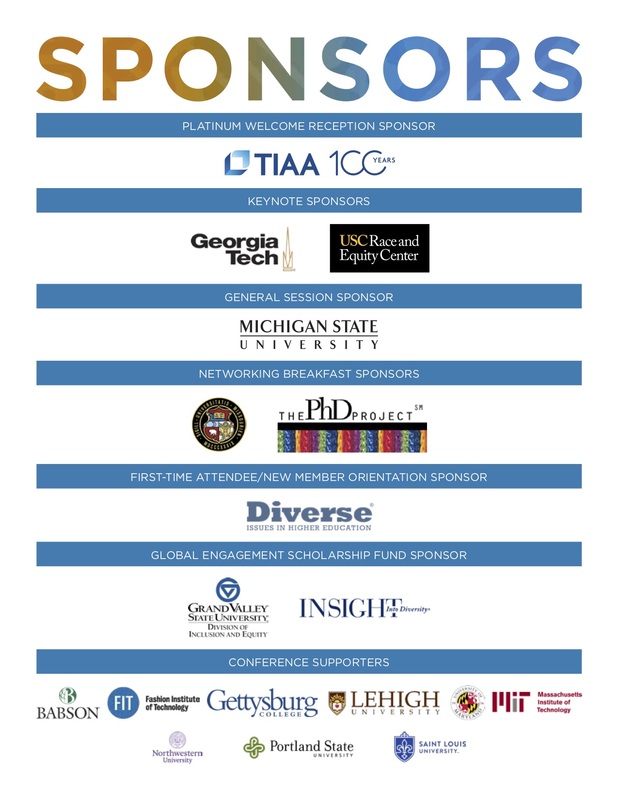 Thank you to our conference sponsors for their generous support! More information on sponsorship can be found here! You can process your sponsorship commitment/payment online here! 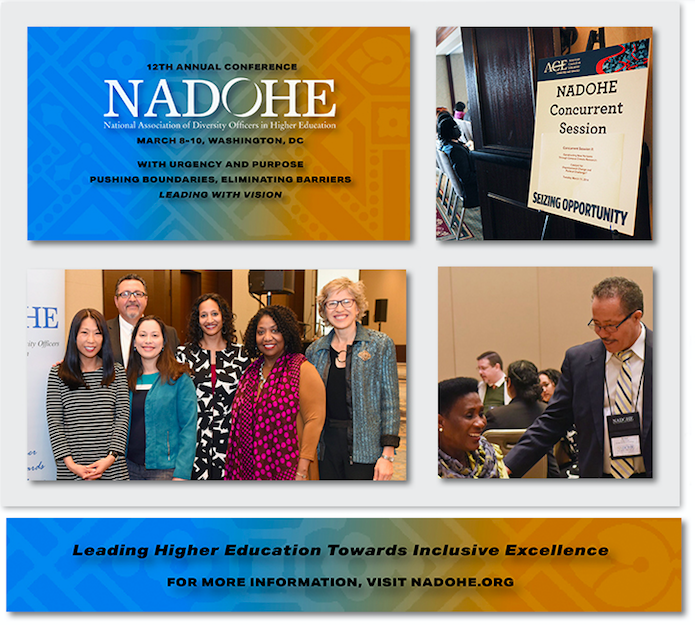 Register for the ACE Annual Meeting, Saturday, March 10 – Tuesday, March 13, 2018, at www.aceannualmeeting.org ACE Annual Meeting Attendees who also register for the NADOHE Annual Conference receive a 20% discount.